The Chicago Bears are busy trying to bring more young players onto their roster, and they took another step in that direction on Tuesday as they released left tackle Jermon Bushrod. 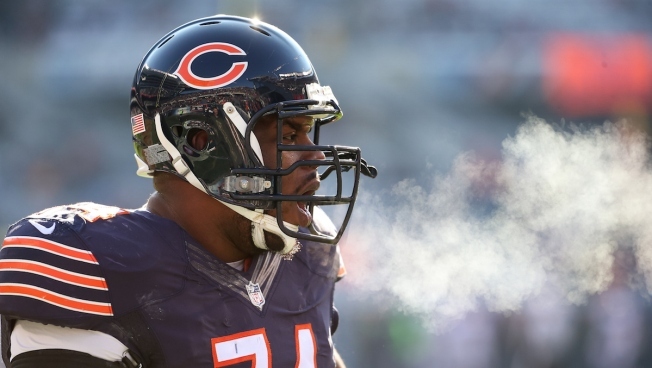 Bushrod played in 42 games for the Bears during his three years in Chicago, but saw his starting spot taken away from him in the 2015 season. He ended up serving only as an extra lineman in goal line or short yardage situations, and with another year left on his contract with the Bears, G.M. Ryan Pace has opted to go in another direction. Bushrod dealt with several injuries last season, including a shoulder ailment and a concussion. He lost his job as the starting tackle to Charles Leno early in the 2015 season, and was never able to regain the spot.